A: Length:23.62"/60cm; Waist:25.19"-29.92"/64-76cm; Hip:51.18"/130cm; Hem:61.41"/156cm. 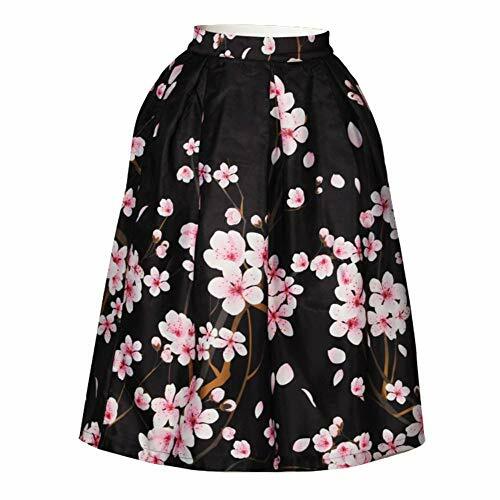 A: It Is One Size Midi Pleated Skirt, Fit For Over 14 Years Old Ladies(Not For Young Kids). Dimension: Length:23.62"/ Waist:25.19"-29.92"/ Hipline:51.18"/ Hem:61.41". Fabric: 88% Polyester/ 12% Spandex/ Not Cotton. A-Line Bust Midi Skirt With Half Elastic Waistband. If you have any questions about this product by ABCHIC, contact us by completing and submitting the form below. If you are looking for a specif part number, please include it with your message.